Comic book heroes are known for their amazing supernatural powers and abilities of overcoming the odds. They are quite popular and loved by all. But, few have realized that despite having super-powers, many of the comic book heroes live with certain psychopathologies. It is this aspect that makes these characters more interesting. Among all the superheroes, Superman is perhaps the most popular. Superman is known for his supreme strength and invincibility. He is known as the man of steel. But, there is also a different side of the same invincible Superman. sent to Earth by his father, before the planet got completely destroyed. He had his powers right from his early childhood. Due to being from a different planet and having a number of super-powers, Superman, very early in his childhood, realized that he is different from his surroundings. He could not relate to anybody. No matter how much he tried to be like others, he could not be so, because of all his powers. Initially, his powers were more of a burden to him and caused a lot of frustration. Since he could not relate to others, he often felt very lonely and alone. He always used to keep to himself and was perceived to be a very shy person. He also very often slipped into episodes of depression. The other side of Superman, Clark Kent, is known to be a very shy, clumsy, and goofy kind of a person. He is also highly self-conscious and prefers to be self-involved. However, despite having all these characteristics, Clark Kent is actually Superman. After Superman, Batman is another highly popular super-hero. He may not be having any super-powers like Superman, but his intellect, courage, and his high-tech devices and utilities are no less than any other super-power. Batman experienced a very tragic incident in his childhood. He witnessed both his parents being killed by criminals. In order to save himself from those criminals, he fell into a dark pit that was full of bats. This made him develop a fear of darkness and bats. Because of this fear, when he grew up, he made a bat-suit for himself and began to go out at night to look out for criminals and put them behind bars. Thus, he came to be known as Batman. He did this to overcome his fear of darkness and bats. As mentioned above, Batman witnessed both of his parents being killed by criminals. This event was a highly traumatic one for him. It led him to develop Post-traumatic Stress Disorder (PTSD), which is a severe anxiety disorder that occurs after being exposed to a psychological trauma. Due PTSD, Batman re-experiences the same events time and again through flashbacks that occur in his mind. He also has nightmares of the same episode. He also experiences sleeping problems as well as anger. Bruce Wayne, the other side of Batman, is a suave business tycoon. He is one of the most admirable and respectable figures of Gotham city. Bruce Wayne is a charmer and is highly confident. His self-confidence is to such an extreme that signs of narcissism are clearly visible. Therefore, it can be seen that even though he is Batman, he is phobic, has PTSD, and is a narcissist. is sometimes referred to be the representative of youth. The other side of Spiderman, Peter Parker, is a geeky science student who works part-time as a reporter. He is highly self-conscious and has a lot of social anxiety. He is always made fun of by his peers for being nerdy. He is so shy that he cannot even muster up the courage to express his love for his childhood sweetheart, Mary Jane. 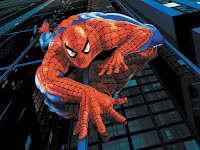 However, despite having such characteristics, he is still the courageous Spiderman. Psychopathological symptoms can be clearly found in the X-men, a team of superheroes who are actually mutants. They were born with special powers due to the possession of a genetic trait known as the X-gene. Because of these special abilities they have always found themselves to be different. The initial discovery of their powers has been more of a shock to them. They lived in a fear of mistakenly harming others by their powers. This fear led them to a feeling of inadequacy and severe depression. It also led to them to social isolation. Professor Xavier, himself being a mutant, built an institute for such mutants in order to help them to overcome their inadequacy and also use their powers to serve humanity and called them the X-men. In this institute, the mutants are taken care of and are made to believe that they are not alone in this world. This can be very well compared to a feature of group psychotherapy. In group psychotherapy, therapeutic sessions are carried out with people who have similar psychological disorders. This gives them a feeling of universalization, which is a feeling that they are not the only ones in this world that have such problems. The feeling of universalization helps a lot in the treatment of these people. In the same way, the mutants have a feeling of universalization in the institute built by Professor Xavier. nature. Of the many special abilities that he has, the most fascinating is the ability to heal quickly from all kinds of wounds. This has made him live a very long life, which is beyond the normal human lifespan. Perhaps, it is because of this that he is a loner. The Wolverine was bonded with an indestructible metal alloy into his skeleton that work as his claws. This was a very traumatic experience for him and he continuously has flashbacks of that incident as well as sleepless nights that are very troublesome for him. These are clear signs of post-traumatic stress disorder. However, the Wolverine is known to cope with all this quite effectively. (There are obviously many other superheroes other than the ones that have been aforementioned. But I have mentioned only those that are my favourites and that according to me are the most well-known comic book heroes). Psycho-pathological symptoms are something that no one would like to have. But, those who have it have to live with it. Common people who have such symptoms find it to be highly embarrassing and do not like to mention it in front of others. Because of these symptoms, they constantly try to stay away from others and in a way exacerbate them. These symptoms make them feel like an oddity in a world of normal people. Rather than thinking of themselves as an oddity, they should take inspiration from these comic book heroes. They should learn to accept their psychopathologies and live like any other person belonging to this world. They should try hard to overcome their feelings of inadequacy and live a satisfied life. If superheroes can have psychopathological symptoms, then why cannot a common man? and even the great nazi leader himself, Hitler, is one of them who have this experiences! A very different perspective towards Children's comics .. hmm I totally agree with the social isolation and alienation process you talked about. Wow !! I have loads to learn from you ! Superman is my favorite childhood hero too. Yah I agree with you, ppl should take inspiration from comic book heroes on how they made the best use of their unique abilities rather than thinking them as abnormal. sent to Earth by his father, before the planet got completely destroyed. He had his powers right from his early childhood. Due to being from a different planet and having a number of super-powers, "
When did u stopped watchin it by d way ??? Btw u can download it via torrent nytym ... !! !